We can custom print great logo or text on our cell phone or MP3 straps with glow in the dark paint or regular pantone color paint. A variety of adjustable devices can be added to straps, like adjustable cord locks, slides or adjustable beads. Any custom color of webbing are available with different style of metal or plastic hardware attachments. We can do any custom length like 14" to 36" or longer. 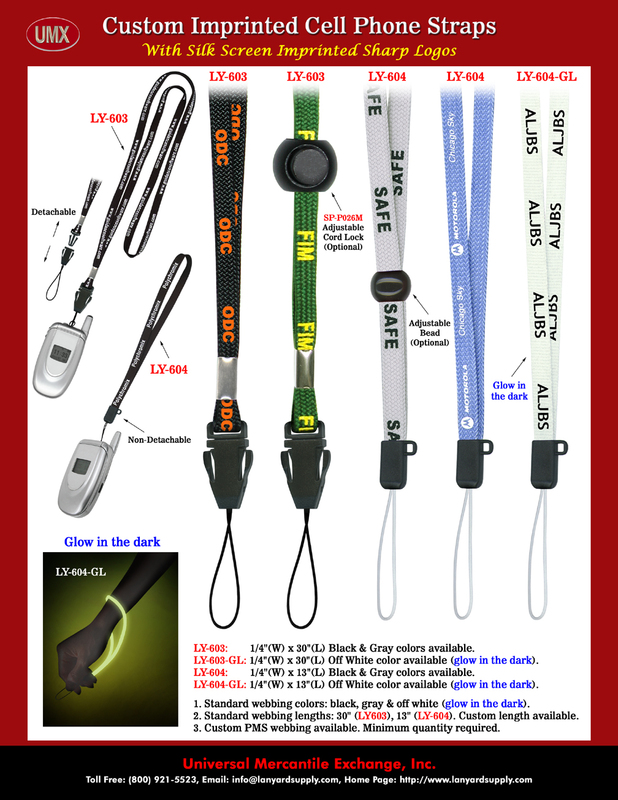 You are viewing Lanyards > Strap Supplies > Custom Printed Glow In The Dark Cell Phone or MP3 Straps - With Adjustable Cord Locks or Adjustable Beads.